As we continue counting down the top-10 drives, here are the competitors that made up eighth through 10th in the OSCAAR Super Late Model standings. With a schedule spread across the province in two different cars, Ryan Kimball would make it out for three events in 2017. He would make his season debut at Kawartha Speedway, scoring a heat win before out-battling Tyler Hawn in a close fight back and forth for sixth. He then returned to the Fraserville, Ontario oval a month later, showing speed that could’ve delivered his first career feature trip to the winner’s circle. After picking up another qualifier victory and starting on pole in the main event, he stretched the lead out a good gap, before a radiator hose let go on Lap 18 ending his night early. Kimball returned to the series at the Autumn Colours Classic at Peterborough Speedway in October, moving up to third from a sixth-place starting spot in the early stages, he made it up to second through the middle portion before ultimately crossing the finish line third. Battling mechanical issues, Derrick Tiemersma saw his strong start to the season come to an early close. 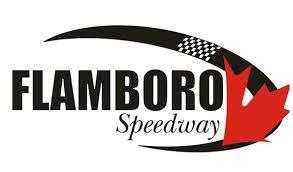 Through the first three races on the schedule, the past series champion showed speed, scoring a fourth-place finish at Flamboro Speedway in May. The second feature that night didn’t go as nicely, as he ran strong, but spun off of turn two on the last lap. He rebounded well a week later at Kawartha Speedway, though, scoring a season-best third-place finish. He made one more start this year – Kawartha in July, placing fifth – though ultimately did not chase the championship as originally intended. Running select events as his team focused on other endeavors, Kelly Balson showed speed once again this year. He made his 2017 debut at Kawartha Speedway in June, running up front throughout the feature en route to a fourth-place finish. He then followed it up with a third in the series’ return to Fraserville, Ontario in July. His next appearance came at his home track, Peterborough Speedway, at the Chase for the Colours event. After scoring his first career win last year, he was quick once again, scoring a third and a first in the pair of the 25-lap features. As a result, he was locked into the front row for the Autumn Colours Classic. Unfortunately when it came time for ACC in October, Balson was unable to compete due to blowing the motor two weeks prior at Sunset Speedway.